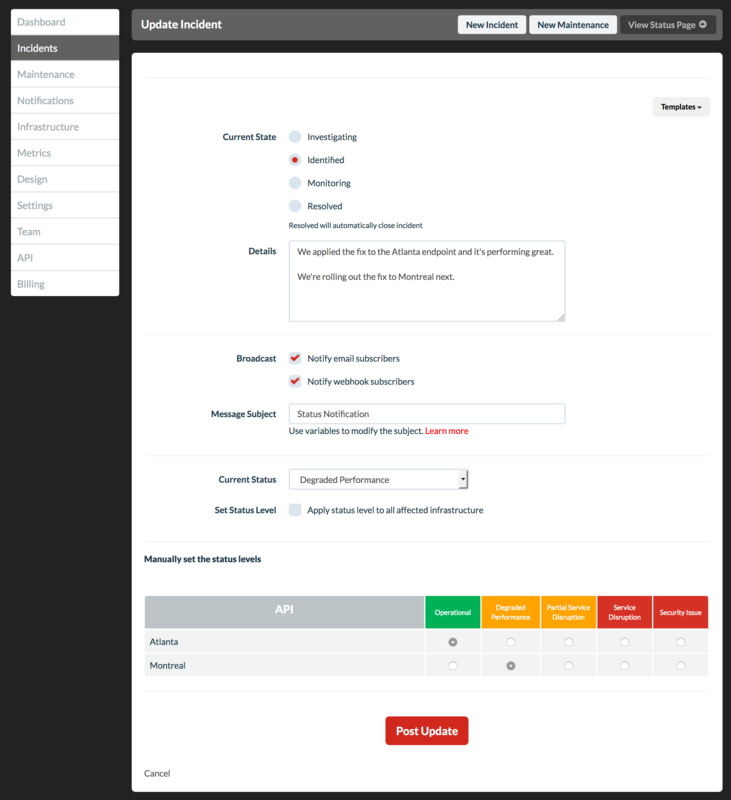 Incidents are used to track issues such as network outages, security events, app slowdowns or anything else that may negatively affect your users. 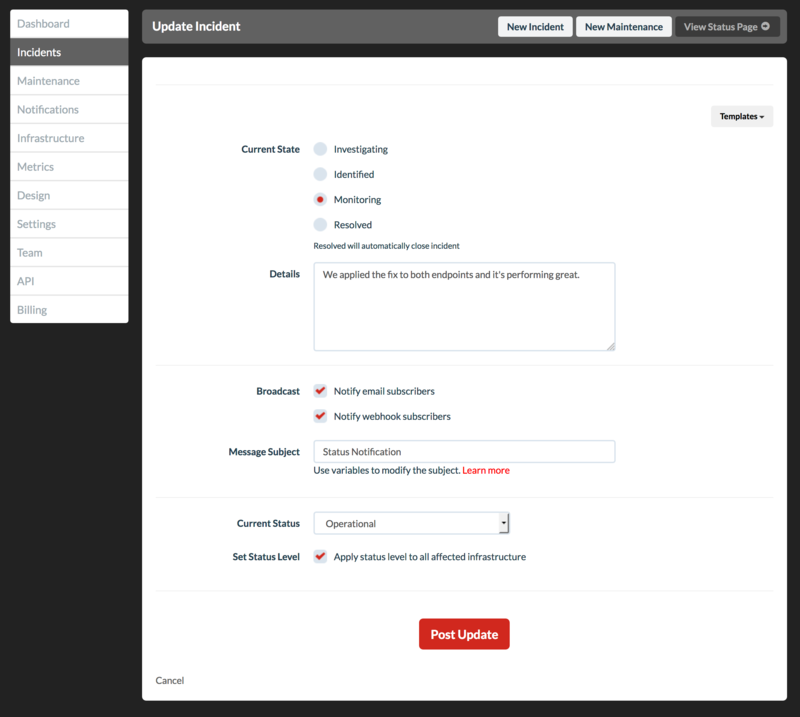 Creating an incident will cause a new incident to be posted on your status page. The Broadcast field is optional. This allows you to send notifications to your subscribers. The All components and containers checkbox is checked by default. This option will include every component and container that is on your status page. Optionally, you can select each individual component and container that should be included. The incident can be modified at any time. Incident updates will be posted on your status page. The Broadcast field is optional. 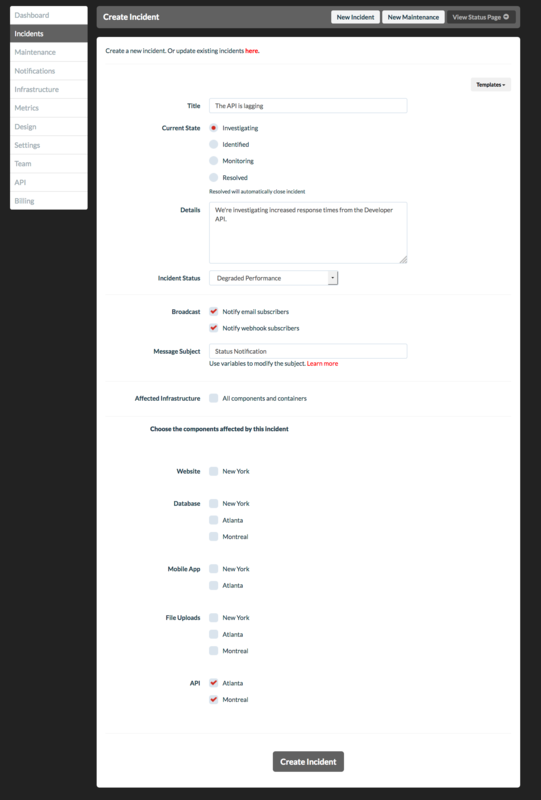 The Apply status level to all affected infrastructure checkbox is checked by default. 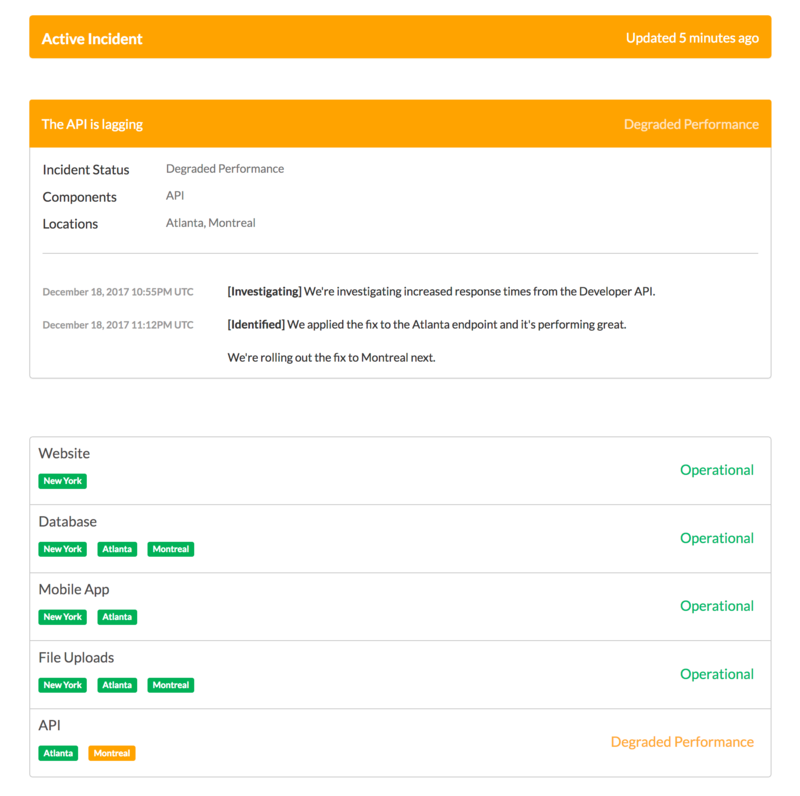 This option will set the incident status level for all components and containers that are included in this incident. 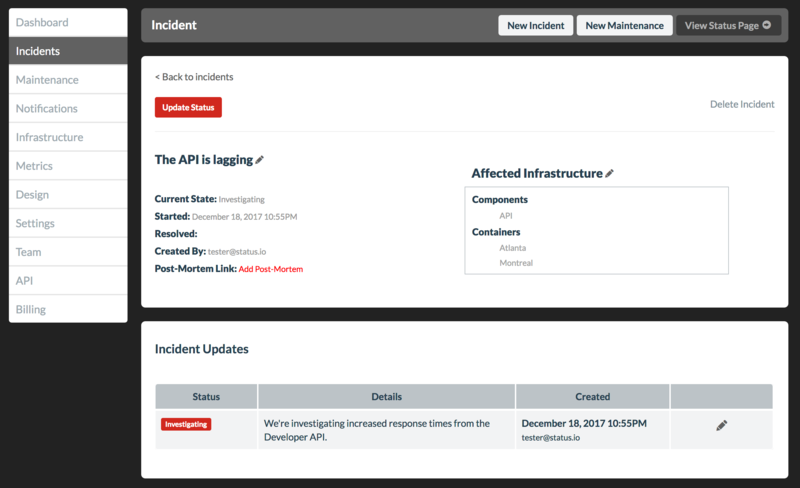 Active incidents and all of their updates are displayed on your status page. Multiple incidents can be active at the same time. Resolving an incident is the same process as an incident update. Incidents that have been resolved are displayed in the history section of your status page.